Rapid Production Marketing has worked with individual manufacturer's as well as organizations within the manufacturing community to develop everything from simple self-managed websites, social media programming & training as well as the services and functions of an outsourced Chief Marketing Officer and Chief Sales Officer. Below, please find some information about our clients and the projects we have worked on with them. A premium manufacturer of High Performance carbide End Mills for use in non ferrous & high temp alloys. Located in the heart of Silicon Valley, Destiny Tool has developed a series of high performance end mills for for use in non ferrous and high temperature alloys. 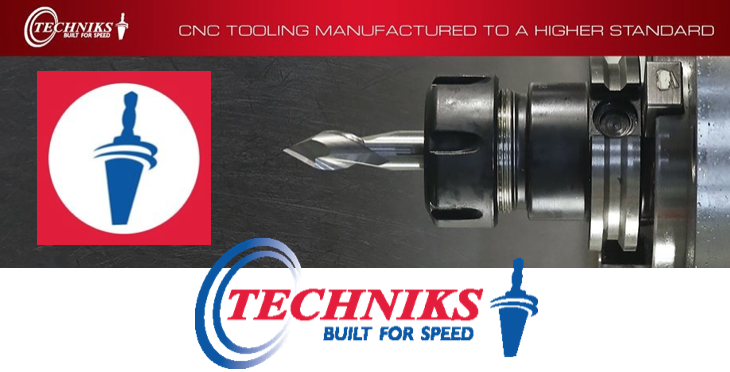 Our unique cutting tools are specifically designed for heavy cuts and very high material removal rates (MRR) while at the same time providing a a surface finish more commonly found in finishing tools. 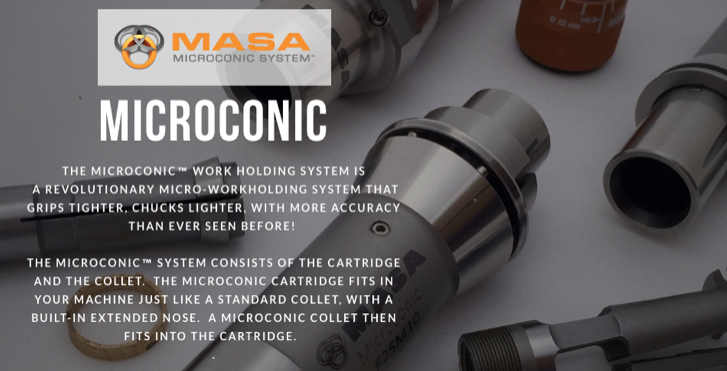 Masa Tool created the The Microconic™ workholding system which is a mechanically actuated micro-workholding system for use in high precision, small diameter CNC turning applications. As Managing Director of Sales and Marketing through Rapid Production Marketing, Mr. Martin develops and implements all aspects of the of the Microconic brand introduction. RPM was responsible for creation & training on the development of social media and blogging for Criterion Machine Works. In fact Criterion was our very first client back in 2010. RPM was responsible for creation & oversight of the TechniksUSA and Earth Chain social media strategy and social media team across all internal brands and platforms . ​This role coordinated with the internal PR, Editorial, Marketing, Sales (inside/outisde) and Production Directors to support the Company’s mission. ​We ensuried that TechniksUSA's social broadcasting was fully integrated with all other efforts across the Company’s portfolio. Bernie worked with us on product development for toolholders and was instrumental in developing our magnetic workholding products. When we hired new field sales people we sent them to work with Bernie for training. Later, when Bernie set up his consulting firm, we entrusted him to build our entire social media marketing program and worked us on our acquisition strategy and new workholding product development. The product development division of Modern Industries, a diversified, multi-division corporation founded in 1946. They specialize in Modular Quick Change fixturing & workholding for CNC Mills. The mPower™ group was launched as a result of the first-hand the frustration with existing workholding technology. We were certain that better methods could be developed to compress set-up times, expedite fixturing changes and improve throughput. And the dynamic, innovative thinking which they have applied to re-thinking the form and function of workholding products can translate into significant, tangible benefits for every HMC or VMC equipment operator.